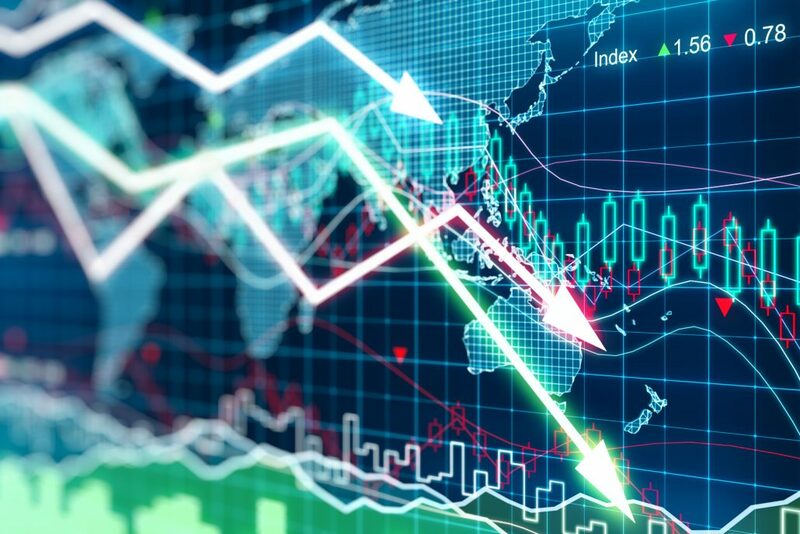 A bearish run-up in interest rates spooked the stock market Wednesday, and while a major shakeout may not yet be in the cards just now, analysts say it’s a sign of things to come as the world’s major central banks move to end easy policy. The quick snap up in U.S. Treasury yields Wednesday came amid speculation that President Donald Trump would select the most hawkish candidate, Stanford University economist John Taylor, to chair the Fed. Yields, which move opposite price, went higher also because markets are awaiting the European Central Bank’s meeting Thursday. The ECB is expected to announce a 50 percent reduction in the 60 billion euros ($71 billion) of bonds it buys each month. Then both the Bank of England and Federal Reserve meet next week. The BOE is expected to raise interest rates, but the Fed is expected to wait until December to raise the target range of the fed funds rate another quarter point. “It’s not frightening at the moment, but the driving force here, rising interest rates because of inflation and tightening fears … and the leadership among commodity stocks, that may be more or less a good description of the rest of this bull market,” said James Paulsen, chief investment strategist at Leuthold Group. The yield on the 10-year Treasury note jumped to 2.47 percent Wednesday, after having breached the technically important 2.40 level just the day before. But by afternoon, yields settled back and the 10-year was at 2.44 percent. Stocks traded sharply lower as yields touched their high point, with the Dow down 190 points Wednesday morning before erasing about half its losses. Paulsen said he does not see a big pullback just yet. “It will come, but I’m not sure if it’s going to be near year-end or next year. I also wonder how many buyers we’ll get coming in,” he said. Analysts say gradually rising interest rates shouldn’t hurt the stock market, but a quick jump in rates or a central bank policy error could be problematic and that’s what worried stocks Wednesday morning. “I wouldn’t be ringing any alarm bells at this point because we have not seen a change in the data that makes us think the Fed is falling behind the curve,” said Jim Caron, fixed income portfolio strategist at Morgan Stanley Investment Management. “I don’t think it is a turning point. It’s early to say. I go back and just look at a chart of yields. … We’re kind of back where we started the year,” said Caron. While bond strategists say the market may see higher yields this year, it is not at the point where they would shoot significantly higher and hurt stocks. Mark Cabana, head of U.S. short rate strategy at Bank of America Merrill Lynch, said the sell-off in bonds has been in part due to seeming progress on tax reform, viewed as a positive for stocks. He said the selection of a new Fed chair who would support deregulation is also a factor, as are expectations that the ECB will announce a tapering back of its bond buying on Thursday. Cabana said that may be seen as a positive for stocks if it is viewed as something that would add to growth, so equities may shrug off the move higher in yields. The selection of a new Fed chair is also important to the bond market, and could result in a shift in interest rate expectations. Fed Governor Jerome Powell is considered the front-runner, and he is seen as being very similar to Fed Chair Janet Yellen, though possibly more inclined to deregulate banks. Trump said he was still considering Yellen but her chances are viewed as slim. “I don’t think the world is changing all that much. I think bond yields are catching up to economic fundamentals. Bond yields have been a lagging indicator basically because of the stock effects of QE,” Caron said. He notes that Europe is still moving slowly and ECB President Mario Draghi is not likely to put a date on when the bank will end quantitative easing. He notes that the ECB’s policy rate is still negative.